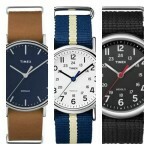 Hello, today we’re going to be taking a look at some of the most popular Timex Expedition watches currently available. This is a selection of affordable Timex watches, the majority of which take advantage of the popular Timex Indiglo technology. This is an example of how the Timex Indiglo illumination works. As you can see, it does an excellent job of lighting up the dial. 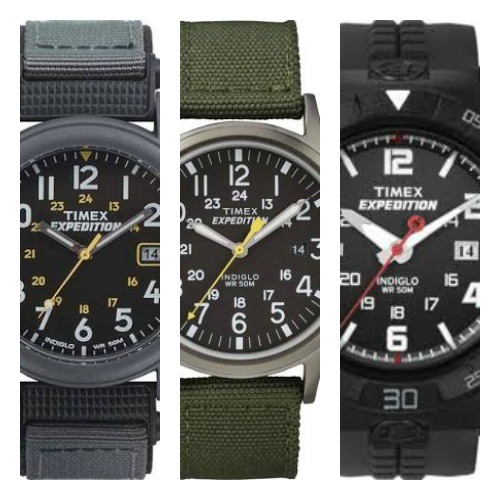 I hope you enjoy this list of popular Timex Expedition watches. If you have any questions about any of the watches featured today, just comment below and I’ll get back to you as soon as possible. 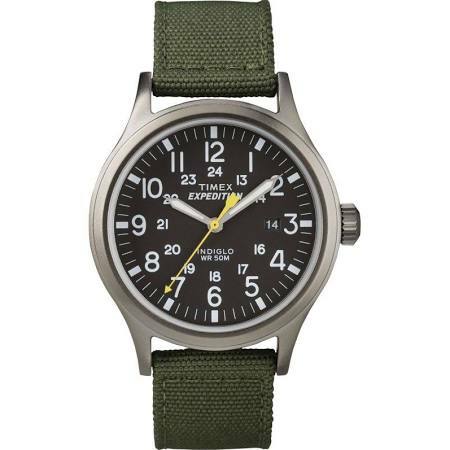 First up in our list of the best Timex Expedition watches for men is this classic military timepiece that’s built with a 40mm stainless steel casing and has a thickness of 10mm. 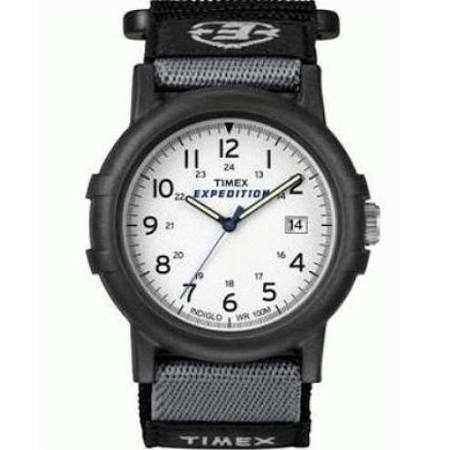 The Timex Expedition Scout also features a Nylon fabric strap for extra comfort, this fastens with a buckle style clasp. The dial of this Timex Expedition Indiglo watch has a high visibility design with large numeral hour markers as well as a 24 hour display. I like the touch of colour with the use of the yellow seconds hand. A key feature of this timepiece is the Timex Indiglo technology that lights up the dial of the watch making it extremely visible in dim lit conditions. 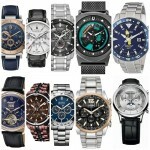 It’s powered by a reliable quartz movement for accurate timekeeping. This men’s Timex Expedition has a water resistance rating of 50m. You can read my full T49961 Timex Expedition Scout review here soon. 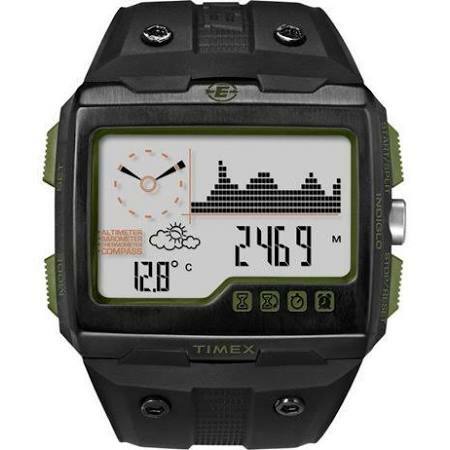 Up next we have the Timex WS4 Expedition watch. This is an oversized timex watch that’s built with a large 50mm durable resin casing that has a thickness of 16mm. The strap is also made of this tough resin and fastens with a buckle style clasp. The WS4 Expedition watch is best known for its unique widescreen LCD display that shows all the relevant outdoor information at a glance without having to scroll through various settings. This display includes an altimeter, barometer, compass, and thermometer. Extra features also include a GPS, compass, backlight, and alarm. This Timex WS4 is powered by quartz movement for reliable and accurate timekeeping. It also has a 50m water resistance rating. You can read my full Timex Expedition WS4 review here soon. 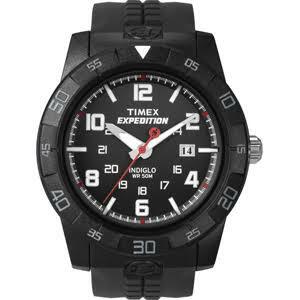 Here we have another popular affordable Timex Expedition watch. The Expedition Camper is built with a round 38mm resin case and has a thickness of 10mm. This has been paired up with a nice comfortable nylon fabric strap and fastens with a velcro clasp. The dial of this Timex Expedition has an easy to read high visibility display with the contrasting black numeral hour markers on top of the clear white background. There’s also a handy date display at the 3 o’clock position. One of the key features of this watch is the Timex Expedition Indiglo technology that lights up the watch for better visibility in dim lit conditions. The Timex Expedition Camper is powered by a reliable quartz movement for accurate timekeeping. It also features a mineral crystal glass and a 100m water resistance rating. You can read my full Timex Expedition Camper watch review here soon. 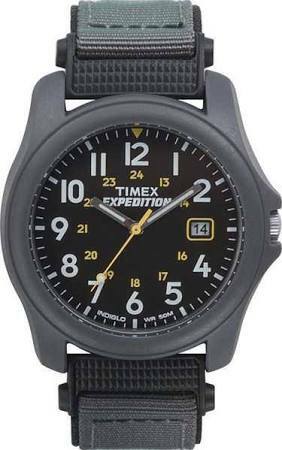 In at number 4 we have an affordable Timex Expedition unisex watch. This is built with a tough resin 39mm casing and has a thickness of 10mm. It’s a Timex Expedition military watch that’s been paired up with a nylon fabric strap that fastens with a buckle style clasp. This timepiece features a Timex Expedition Indiglo dial that can be lit up in dim lit conditions to make it easier to read. The read of the dial has a high contrasting finish with bold white numeral hour markers on top of a black background. There is also a handy date display at the 3 o’clock position. The Timex Expedition watch featured here is powered by an accurate and reliable quartz movement. It also has a mineral crystal glass and a 50m water resistance rating. You can read my full T42571 Timex Expedition review here soon. Last up on our list of the best men’s Timex Expedition watches is the Timex T49831. This is a popular chunky Timex watch with a 43mm casing that’s made of resin and has a thickness of 11mm. The strap is also made of a durable resin and fastens with a buckle style clasp. This Timex Expedition Indiglo watch has a high visibility dial design with bold white numerals, hands, and hour markers on a black background. There’s a small date display to be found at the 3 o’clock position too. As you’d expect, it also harnesses the Timex Indiglo technology to illuminate the dial at the press of a button. This men’s Timex Expedition rugged watch is powered by a reliable quartz movement for accurate timekeeping. It also features a water resistance rating of 50m which some people may find useful. You can read my full T49831 Timex Expedition Indiglo watch review here soon. 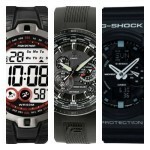 Thank you for taking the time to read through today’s list of the best Timex Expedition watches for men. It was only a little list today so sadly couldn’t showcase the full extent of how great Timex Expedition watches are. If you have a favourite from today’s list, comment below and let us know.